Pulse crust ingredients in the food processor until combined. Press into muffin tins and let chill in the freezer. Blend “cheesecake" ingredients until smooth. Mash jam ingredients together. 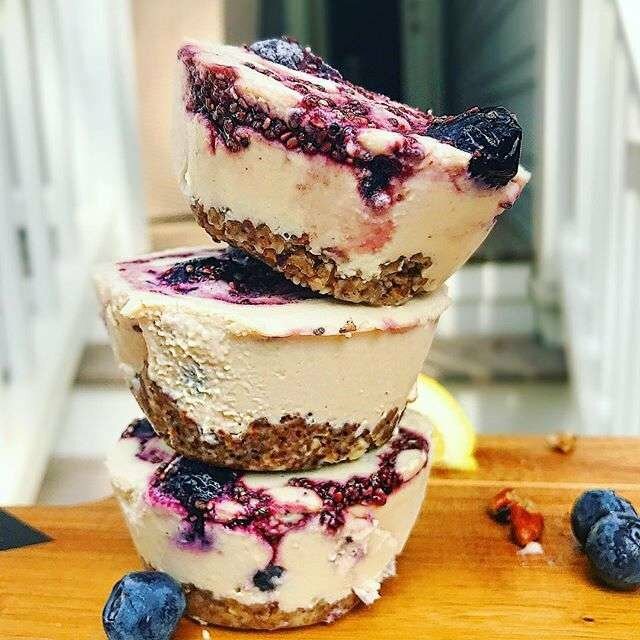 Pour a layer of cheese cake into each muffin tin, then add a layer of blueberry jam and add more cheesecake to the top. Freeze until firm!